Teaser – Tekno ET410 1/10 Truggy « Big Squid RC – RC Car and Truck News, Reviews, Videos, and More! 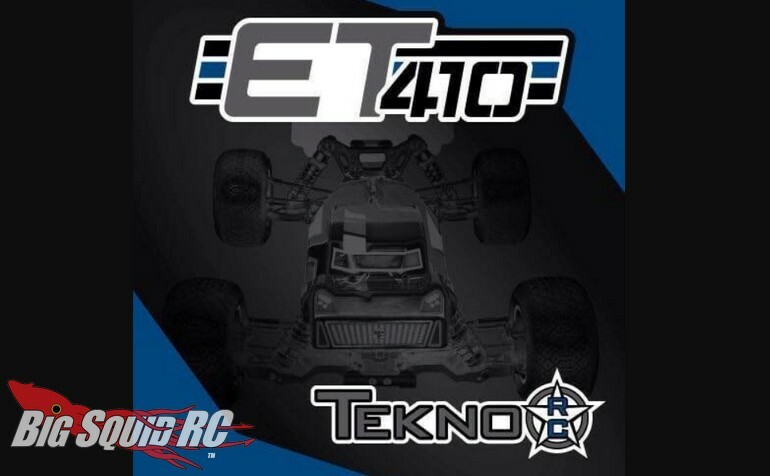 Being teased now by Tekno RC is the ET410 Truggy. The ET410 is a 1/10th scaled truggy kit, and while not much is known at the moment, it may very well sport 2.2″ stadium truck tires. If that is the case, that would make for a huge selection of tires that are already on the market. We do know that it is a 4wd truck, and with Tekno’s reputation for toughness, the ET410 may be one serious backyard bash-track weapon. More details are expected to be released any time now, until then, you can hit up This Link to visit Tekno’s website. Also, you can Click Right Here to read more Tekno news on BigSquidRC.